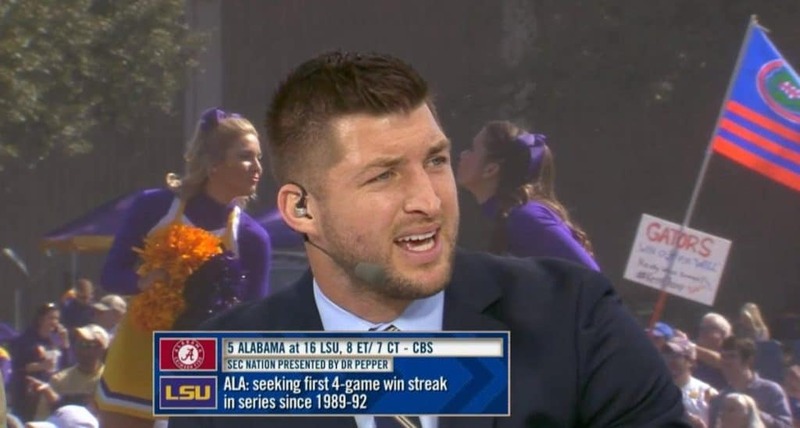 During the SEC Network’s broadcast in Death Valley today, a couple of opportunistic LSU cheerleaders took their chance to lay a “kiss” on Tim Tebow. Ok, so it’s not a real kiss. But these cheerleaders got a heck of a lot closer than many other girls could ever hope to be.